WPP suffered its worst share slump since 1999 after Chief Executive Officer Martin Sorrell slashed the profit outlook and predicted a year of no growth, giving already jittery investors another reminder that the advertising industry is undergoing its most dramatic upheaval in living memory. Sorrell seem to believe there is “nothing to see here, move on” we have everything under control. This however could not be further from the real truth. Sorrell, earlier this month was blaming everyone but themselves for their problems, siting technology and zero-based budgeting for WPWP’s worst stock drop since 1999. (Zero–based budgeting (ZBB) is a method of budgeting in which all expenses must be justified for each new period. The process of zero–based budgeting starts from a “zero base,” and every function within an organization is analysed for its needs and costs). Marketers were surprised by his failure to communicate what many deem the real reasons behind their appalling years results. Sorrell went so far as to state that his “traditional agency model isn’t antiquated”, a statement that has ignited heated debates within the marketing industry around the future of the agency model. However, this steep slump of the industry leader is the most dramatic sign yet of the deepening crisis facing Sorrell as digital competitors hollow out his core business. 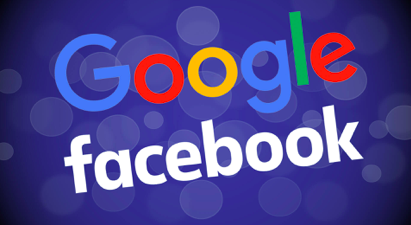 Major clients such as Unilever are holding back ad spending to cut costs, while digital players like Google and Facebook Inc. are cutting out advertising agencies that act as middle-men. Across the channel the Publicis Groupe, WPP’s Paris-based rival, is suffering the same fate it dropped as much as 6.1%. WPP’s advertising sales has in the past been seen as a doyen of strength in the global ad economy, as companies tend to expand or cut their marketing budgets depending on how well their businesses are performing. This months share slump deepens an already poor performance of WPP, which lost more than a quarter of its value over the course of last year. The stock dropped as much as 207 pence in London to 1,187 pence, the worst performer on the FTSE 100 Index, according to Bloomberg. The ad giant said it’s responding by: “trying to break down silos among its various creative, ad buying, strategy and public relations businesses to draw on top talent and seamlessly serve clients”. After “not a pretty year” in 2017, WPP is upping the pace of its effort to combine its global team”, Sorrell said. But Sorrell is wrong. For example: “The Hogarth Experiment” only shows how out of touch they (WPP) really are. It also demonstrates how he and his management team has missing the mark and perspective of what the real future agency landscape might be. They will not acknowledge or believe Clients will just not be bullied into giving their entire marketing spend to agencies they have reason to doubt. Surly they should take a hint from what Marc Pritchard CMO of Proctor and Gamble (the worlds largest advertised) said in his latest statement: “ we need fewer project managers’ at agencies as he vows to destroy the ‘maze of complexity”. “The archaic “Mad Men” model must end by stripping away anything that doesn’t add to creative output”. Pritchard has reiterated his vow to insisting on more transparency and to eradicate the layers within creative and media agencies that disrupt flow for brands. The only and enviable result will be the de-coupling of all production services. Forget the hyperbole and extravagant promises that are endeavouring to wallpaper over the cracks at WPP, the truth is they have simply has missed the whole point. 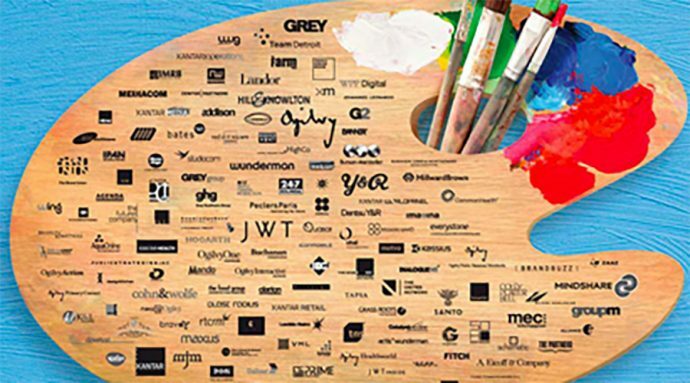 Statements made by the likes of Mike Connaghan, CEO WPP AUNZ saying: “Combining the global muscle of an iconic brand such as Hogarth with the local expertise and strength of four successful production houses represents a fabulous opportunity for us to lead the way in content production in Australia and further solidify our leadership position in the region. Justin Ricketts CEO Hogarth Australia said: “In today’s evolving media landscape, clients demand increasing amounts of content, and the time is right to disrupt old habits and evolve the production model. I believe at Hogarth Australia we have a way to make campaign assets better and faster and can provide our clients with a genuine end-to-end production offering, that will deliver higher quality marketing assets with better economics, while maintaining and enhancing creative integrity”. This dross will simply just no be believed by an ever increasingly cynical marketplace! Don’t forget you read it here; the result of this folly will be the acceleration of the de-coupling model, where clients will look outside their agency for their production needs. 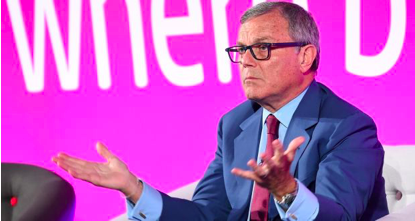 Contrary to Sorrell’s statement, the traditional agency is also being threatened by companies like Google and Facebook, for while mobile and digital advertising continue to soar, 90% of this growth is going to these two companies alone, WPP fortunes continue to languish. Agencies who are able to remain at the forefront of creativity and technology can be open to collaboration and partnership with technology companies and are flexible and agile enough to keep up with them. The truth is that collaboration with tech companies will actually be vital to an agency’s future success. But WPP seems to be ignoring this. They prefer to expand into traditional production areas at the cost of destroying the independent integrity of their own creatives, whilst marginalising their client’s needs to suit their own end. They simply just refuse to understand or acknowledge this. They are ignoring rather and then look towards any opportunities or solutions to embrace the digital tsunami that is engulfing us all. Traditional agencies and holding companies like WPP are built around solidified structure and a foundation of the siloed legacy model. They are designed for long-term client partnerships and marketing plans that often stretch over years. The steady stream of income this provides is essential to their operation. But this is drying up, and their best answer is to set about a cash grab for what they are not getting at the moment the production side of the equation? However, we’d contest that the agency of the future will thrive by being quick and nimble, which results from a flatter organization and a process that allows for pivoting quickly. Whereas marketers used to hire agencies to develop 30-second spots for TV and print planned months in advance, now they’re managing customised marketing across diverse platforms and devices to targeted audiences, all in real time, with need for integration across all touch points. Coupled with automation, this new playing field means that smaller, nimble agencies with less infrastructure and fewer silos are better equipped to develop great creative at a faster speed. It’s the agencies that can react quickly and keep their brands on the forefront of culture that will thrive. The shift away from traditional marketing models leads to significant opportunities for fast-moving agencies rooted in digital, contrary to Sorrell’s outlook. The key for agencies that want to withstand the test of time will be to find ways to deliver at the highest levels for core brand needs conceptualising, producing and promoting powerful creative under one roof. The smartly integrated agencies that can manage digital and creative end to end, while remaining open to collaboration, will come out on top. It’s consumers and culture that are driving the immense changes affecting the industry as a whole. As culture moves faster and faster and consumers grow ever more empowered and demanding, brands know they need to keep up. And perhaps the traditional agency model just can’t. MUM, DAD, HUSBAND, WIFE, MANKIND, DARL, LOVE, SWEETIE: ALL MUST GO! Poor App Just like George Pattersons they will soon be gone.